Domaine du Bouchot Pouilly-Fumé 2014, Saint Andelain, France. Organic. 13%ABV, Found online from $17-25 /bottle. Medium straw in color with good clarity, the nose features grapefruit, lemon zest, and lilac. The mouthfeel is savory with bright fruit, perhaps a stolen moment of Loire summertime in a glass. White peach, lychee, and grapefruit dominate the palate with lemon and lime following with racing acidity, beautiful herbal and floral notes expand as they cross the top palate, as notes of gooseberry, clay, flint and limestone appear on the back palate. This wine will remind you of what you adore, be it Sancerre, Loire valley whites, or sauvignon blanc – I rarely find people who adore all three (I myself only am a huge fan of ONE of those descriptors) but this is simply a lovely wine, whatever you prefer to call it. Match it at this price point ($17/bottle? I must have hit the jackpot, because I bought a case!) 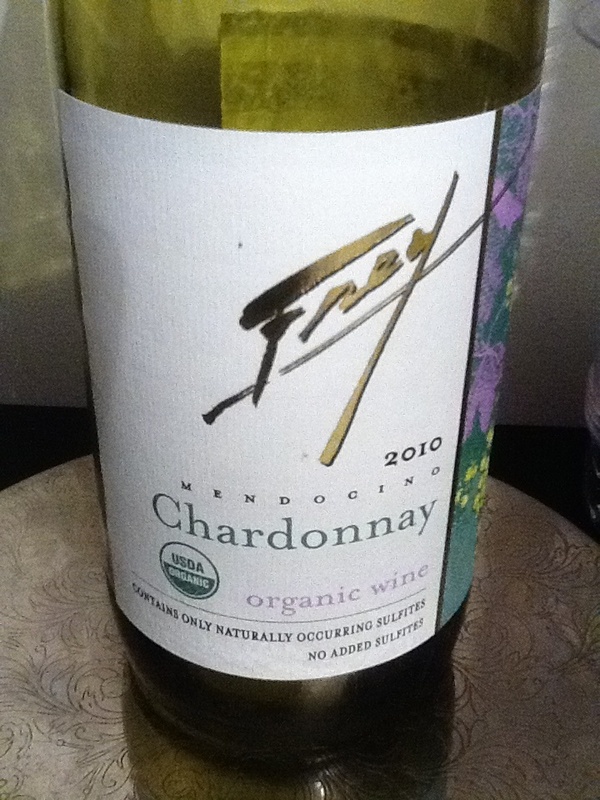 Oh, did I mention the wine is organic? This is one to pour just below room temperature, sit back and smile smugly as you know you got a tremendous deal on a stunning Pouilly-Fumé for a pittance. Then savor the aromas and flavors and watch the day escape, knowing that life is too brief, but moments of beauty can be found in your glass when you search for them. Believe me, I will keep an eye out for winemaker Pascal Kerbiquet and Domaine Du Bouchot. If you love amazing, organic sauvignon blanc from the Loire, you might do the same thing. Light straw with a greenish tint. When uncorked, the initial nose included p-mentha-8-thiol-3-one (remember my favorite descriptive term, cat urine?) Fortunately this aroma dissipated quickly after airing, and the nose completely changed. After airing, I got lime, spearmint, sulfur, and daffodil on the nose. In the mouth, I sensed sweet pear and tart green apple with lemon zest and a strong acid backbone. It stayed consistent over three days with refrigeration, and paired well with fish, pasta, and light flavors. I served this to others who enjoyed it with meals and had no complaints, so I feel that the average wine drinker would be happy to enjoy this. 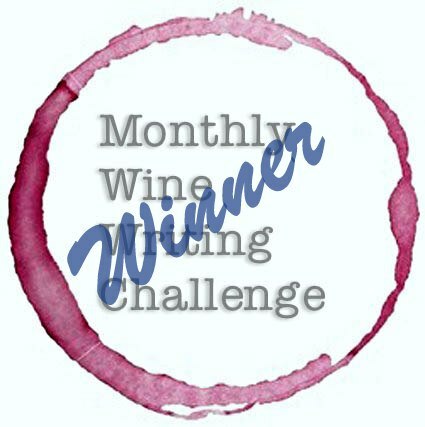 I looked at the Frey Website and found out the 2011 vintage is rated at 90 points and won a gold medal. I think I’ll keep an eye out and give that one a taste as well! Here’s a link to the Frey home page. Garnet color with ruby edging. With a nose of cassis and rose bush, this red blend has cherry and blueberry dominant on the palate, a dry finish with a hint of sour cassis, and I was pleasantly surprised by this organic, no-sulfite wine. For the oenophile, this is a passable vin du table, but for the vegan, the organic-preferred health conscious, this is a great find! If you know sulfite-sensitive asthmatics, this is a wonderful option. I opened this bottle, did not refrigerate, and it was both good and largely unchanged for three days, when we finished the bottle. 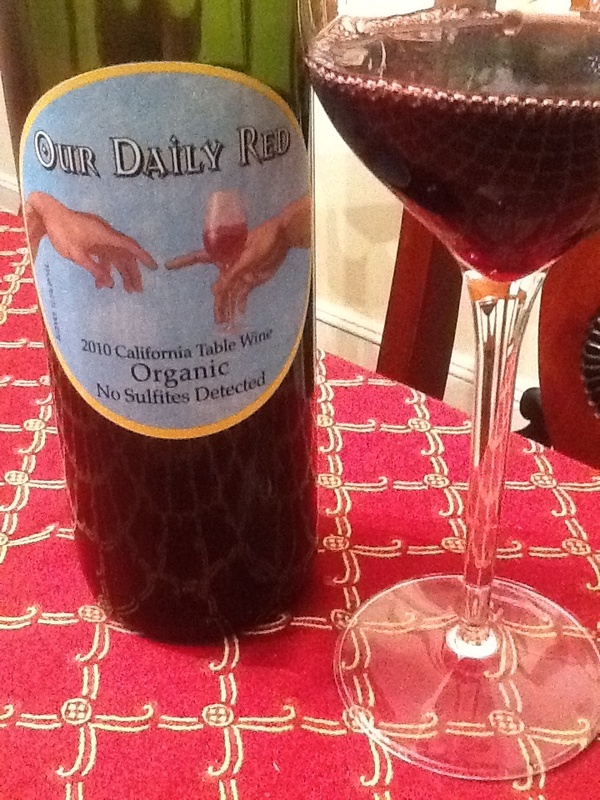 I think this market (organic, sulfite-free wine) has huge potential, and Our Daily Red is doing a great job. Word on the web is this wine has cornered the market in San Francisco. According to this informative video by The People’s Chemist, The People’s Red has another organic brand called Well-Read wine that is carried only by Trader Joe’s. Whether you are interested in organic and sulfite-free wine because you 1) support organic agriculture, 2) want preservative-free wine, 3) are asthmatic, or 4) believe in sustainable farming, it doesn’t really matter. This is a wine and a brand I’d suggest you check it out for yourself. And of course, the label is a great pun in its own imagery.